If you manage a building in need of a new boiler system, or just need your current system looked at, you’ll probably have a few questions about these crucial fixtures—and chances are high that you aren’t the only one asking them. Clients of New England Combustion Products, a licensed Rockland, MA-based company, tend to ask many of the same questions and concerns about their products. To help spread the knowledge, the team has shared the answers to some of these below. 1. Which Boilers Are the Most Efficient? The most energy efficient products, when it comes to boilers, tend to be the most recently manufactured ones. Condensing boilers are particularly efficient, with a 90% annual fuel utilization efficiency (AFUE). They’re able to deliver this due to their design, which reuses the heat from exhaust gases, which would otherwise escape and be wasted by a conventional gas- or oil-fueled boiler. 2. When Will I Need a New Boiler Installation? Clients often wonder whether it’s worth it to repair their existing commercial boiler systems or invest in new ones. Some of the qualities of a dying system include requiring frequent repairs (more than once or twice a year), taking much longer to heat up than it did in previous years, and making excessive noise. 3. Is It Better to Have Multiple Small Boilers Than One Large One? While small buildings may do well with just one large boiler, it’s sometimes better to have a system consisting of two or more units. One reason is that if one malfunctions or fails, you’ll still have heat since the others make up for it. Multiple boilers can also increase your energy efficiency, as your system can be programmed to use only the minimum number required to achieve the desired temperature, which may end up using less power than a single large-capacity boiler. 4. Why Are A Lot of Boilers Shaped Like Cylinders? 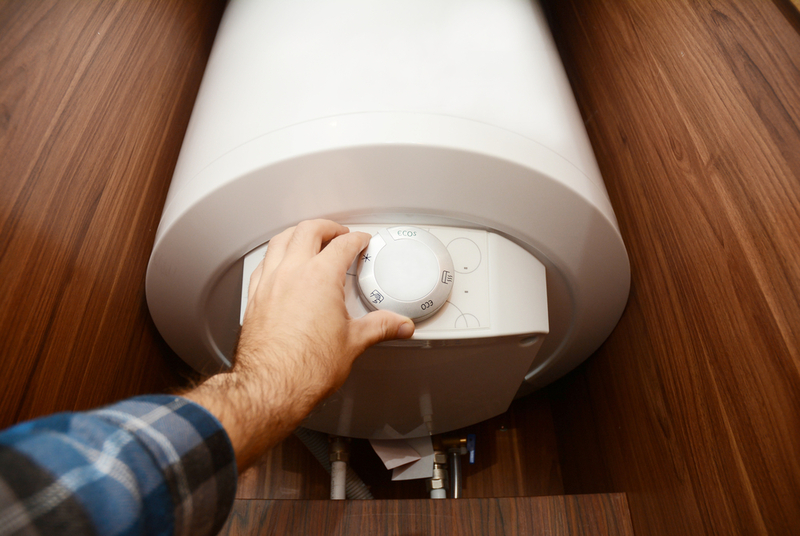 Most older boilers are shaped like cylinders because the metal’s curved surface area doesn’t lose as much heat as a square-shaped boiler of the same volume would. However, because of modern advancements in engineering, conforming to that shape is no longer necessary to keep water hot. Many high performing boilers (including the condensing type) are rectangularly shaped, allowing them to fit better in small mechanical rooms. Do you have any unanswered questions about commercial boiler systems? If so, please don’t hesitate to ask the experts at New England Combustion Products. They’ve been in business since 1976, installing energy efficient products for a wide variety of commercial clients. Call (781) 337-8888 to get in touch or visit them online for more information.